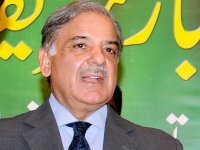 LAHORE: Punjab Chief Minister (CM) Shahbaz Sharif has given directions regarding completion of Multan Road project by September 15 so that better travelling facilities could be provided to the citizens at the earliest. Granting approval to the construction of flyovers at the canal on Ferozepur Road and an underpass at Qainchi near Chungi Amar Sidho, the CM directed that these projects be completed as soon as possible by utilising the resources provided by the city district government. He said this while presiding over a meeting regarding development projects on Sunday. The CM said that proper infrastructure was of vital importance for speedy development, therefore, special attention was being paid on the development of this sector. He said that developmental projects were being completed expeditiously and in a transparent manner across the province while horticulture was also being promoted on these projects.